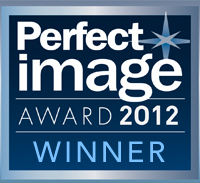 Las Vegas, Nevada (April 18, 2012)– imageSource Magazine today announced the businesses that received the magazine’s 2012 Perfect Image Award for outstanding achievement in a specific category. The national awards were presented to representatives from each business selected, from the imageSource Live Theater on the Expo Floor at the ITEX National Expo & Conference, by imageSource Editor-in-Chief and ITEX Conference Director, Sand Sinclair. The imageSource Perfect Image Award recipients are selected from an impartial judging process based on a variety of factors and entry information acquired regarding a dealer’s business model and performance. The judging process includes the imageSource/ITEX Advisory Council whose members are industry consultants, dealers, leading industry associations, and vendors, as well as Questex Media Group executives on the Council. Awards are merit-based and derived from a compilation scoring process. imageSource Magazine is a property of Questex Media Group LLC, a global diversified business-to-business integrated media and information provider, headquartered in Newton, MA. The company’s media properties include over 100 print and digital media publications, 45 conferences, tradeshows and events, as well as a range of research, data and information products. In addition to imageSource Magazine, website and eNewsletters, Questex also produces ITEX National Expo & Conference (www.itexshow.com), the nation’s largest event in the office solutions channel, and Solutions Summit (www.solutionssummit.net), an innovative, invitation-only, C-level event for the office solutions channel. For more information, visit www.questex.com.